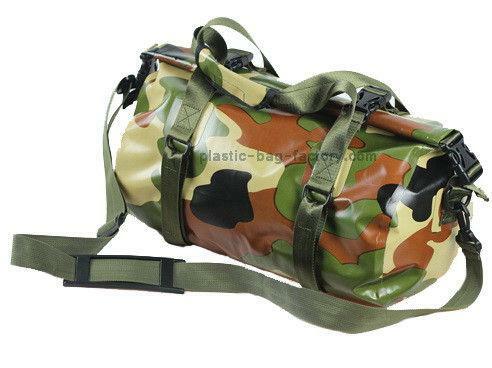 This warterproof bag combines the convenient access and storage capacity of a large duffel with the water resistance and ruggedness of our most durable drybags. Utilizing the time-tested, 3-way roll down closure system and constructed of super tough tarpaulin material, the Mariner Duffel is our most versatile pack offering yet. Every inch of this heavy-duty, top loading gear bag is heat welded and bound to prevent water intrusion during any aquatic activity. In addition to the rugged 2" webbing, beefy d-rings, daisy chains, and sealed zippers, this pack includes two detachable, adjustable, molded backpack straps for quick conversion to a hands free cargo hold. One shoulder strap, two fast dismantling belts, can be used as handbags, messenger bags, backpacks, or motorcycle, bike, car luggage bags.